We are seeing stars with this month's Hits & Highlights. 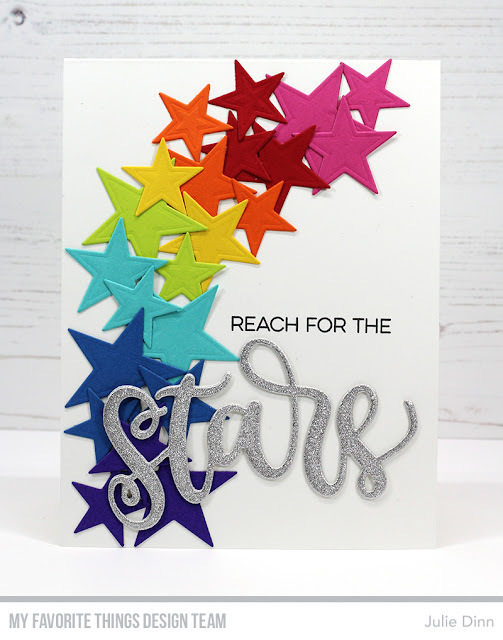 I created a rainbow of stars with the Inside & Out Stitched Stars Die-namics and a handful of my favorite colours of card stock. The sentiment was created with a stamp from Written in the Stars and a Shining Stars die-cut. Be sure to check out the MFT Blog to see all the amazing creations the design team has to share with you today.